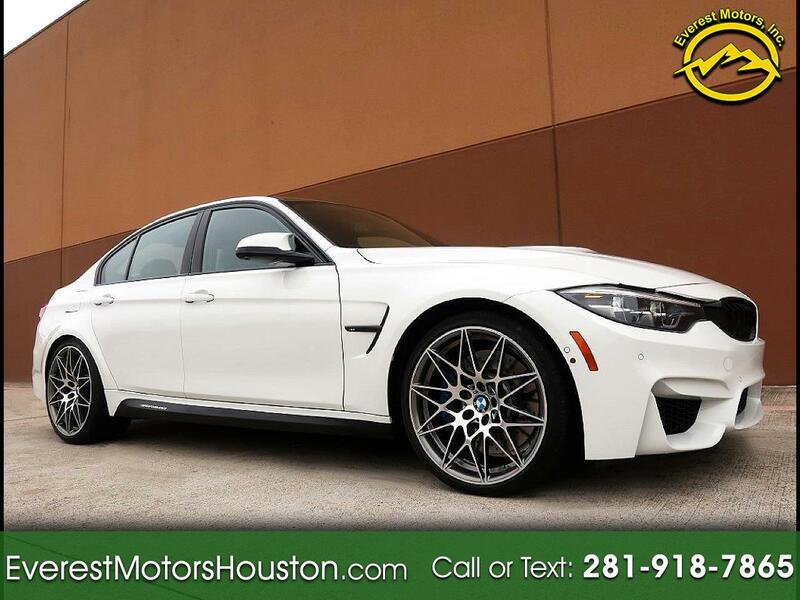 Used 2018 BMW M3 Sold in Houston TX 77063 Everest Motors Inc. This gorgeous One Owner BMW ///M3 Sedan runs and drives like New!! Suspension is tight with no extra noise. The 2018 BMW M3 is powered by a 3.0-liter twin-turbo I-6 rated at 425 hp and 406 lb-ft of torque. With the Competition package, output increases to 444 hp. Underneath this car is Clean and dry with no fluid leak anywhere. Exterior color is in Great condition with no Major ding, dent or scratches, However you might find a few super minor scratches, dings or chips here and there. Leather Seats, Dashboard, Headliner, Leather Door panels, and Carpets look very nice as shown in the pictures. This beautiful car comes with Two key/Remote keyless, Books and factory window sticker!!! Feel free to contact us with any question about this vehicle. This is a very impressive and fun ride, take advantage of this rare opportunity. There are not many in the market with this package and options ! All our vehicles are sold AS IS with no warranty! Message: Thought you might be interested in this 2018 BMW M3.